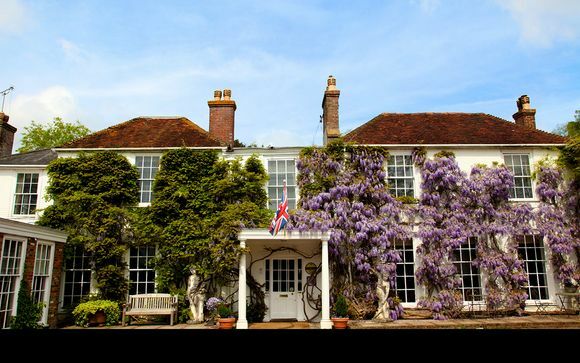 Set in a wisteria-covered house, the Powder Mills Hotel 3* boasts sophisticated rooms, period style features and a charming countryside setting. This 18th-century country manor is nestled in 150 acres of parkland with woods and large lakes surrounding. Our members benefit from a choice of 3 delightful rooms, alongside 2 dining options and a tasty welcome glass of sparkling wine! 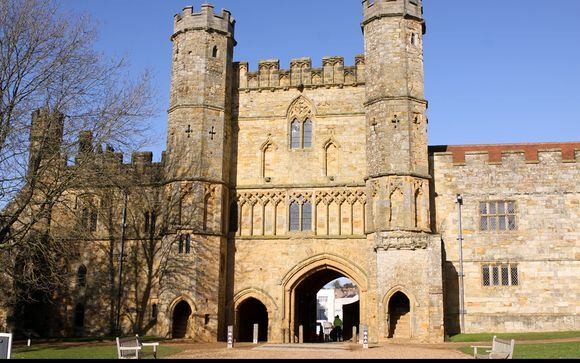 Battle is one of England’s oldest and most famous towns, known for its Abbey and for the site of the Battle of 1066. There are many local attractions and places of interest, including the National Trust's Bodiam Castle, Bedgebury National Forest and Camber Sands. 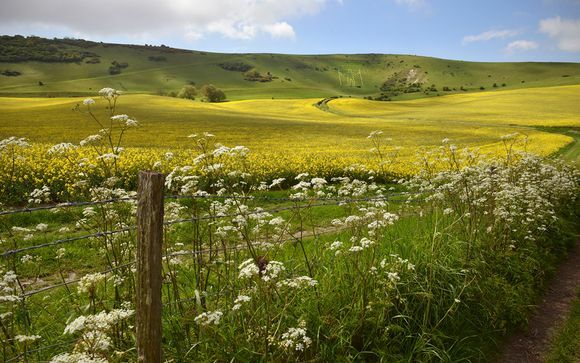 Powder Mills is in the heart of the East Sussex countryside and can offer many different activities such as clay pigeon shooting, fishing archery and other country sports. 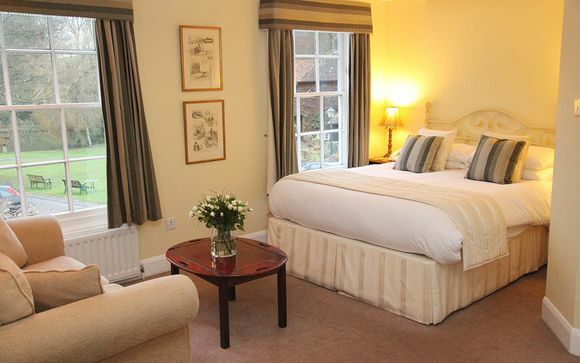 The Powder Mills Hotel 3* is a stunning, privately owned 18th Century listed Country House, nestled in 150 acres of beautiful parkland, woods and large lakes. Situated just outside the historic town of Battle, the hotel grounds actually adjoin the famous Battlefield of 1066. This a is a great choice for nature lovers - the hotel’s springer spaniel welcomes many guests, and wild geese, swans, ducks, kingfishers and herons abound in the grounds, thanks to a seven-acre specimen fishing lake. 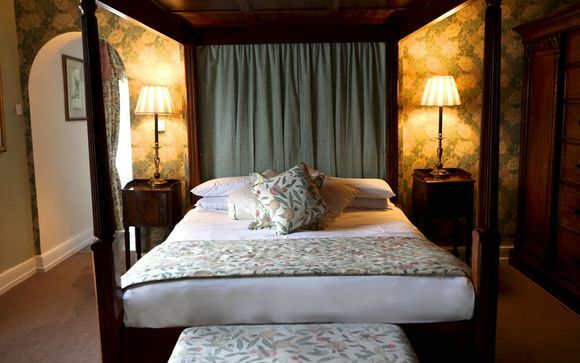 The Hotel is tastefully furnished throughout with furniture and paintings in-keeping with the period of the property. From the Entrance Hall to the Bar, the Drawing Room and the Large Music Room, the ambience is that of a luxurious yet welcoming country home. This offer is based on a choice between a Standard Room, an Executive Room or a Junior Suite. Enjoy your en-suite Standard Room, complete with either a bath or shower, tea & coffee making facilities, an iron and ironing board, a digital TV and complimentary WiFi. 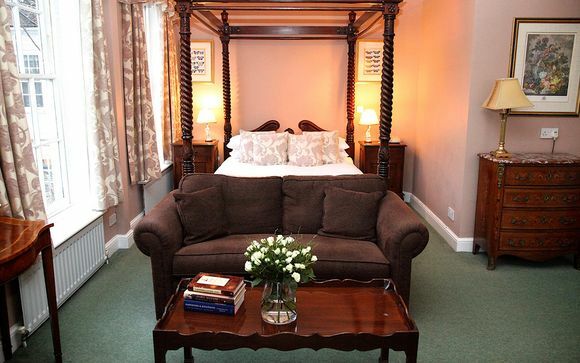 These rooms are comfortable and intimate - the perfect place for a quiet getaway with a loved one. Each Executive Room is spacious with beautiful views. Some of the executive rooms are located in the Pavilion - a short walk from the main hotel. Guests seeking some extra space and added luxury may choose to opt for the Junior Suite. With all the amenities and perks of the other rooms, these also include a seating area - the perfect place to relax or read. 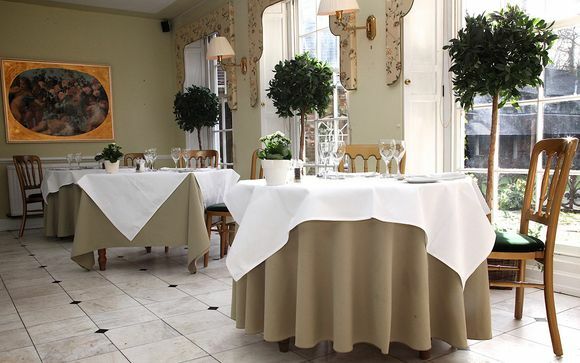 This offer is based on a choice between a Bed and Breakfast or Half Board Board Basis (breakfast and 3-course set menu in the AA-Rosette Orangery Restaurant each night - excludes drinks). Please Note: This offer does not include a 10% discretionary service charge in the restaurant. The 2 AA Rosette Orangery Restaurant boasts marble floors, Greek statues and huge windows that look out to the terrace and swimming pool. The menu focuses on traditional British fare, with ingredients locally sourced wherever possible. The Gunpowder Menu offers light snacks and sandwiches in the hotel's lounge areas and conservatory. (Not available on Friday or Saturday evenings or on Sunday afternoons).